TV commentator Nigel Pearson reckons Sheffield will be one of the Championship’s front-runners this season. Pearson, who was also the Tigers’ centre stadium presenter earlier in his career, has been speaking ahead of his appearance at Owlerton Stadium next Wednesday (January 30, 8pm) alongside former World Cup winner Kelvin Tatum. Pearson reckons Sheffield look solid and says he’s expecting 2019 to be a big year for the Tigers. “I think both on and off track everything is set up nicely and it all has the makings of being a very exciting season at Owlerton,” Pearson said. “I know a few traditionalists aren’t keen on the switch to Sunday racedays in the steel city but in terms of being able to attract a wider audience and get more junior supporters through the turnstiles I think it can only be a good thing for the club. 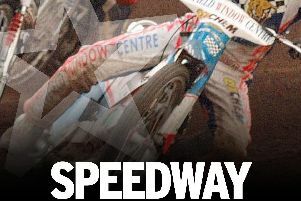 “Owlerton is one of the fastest circuits in British Speedway and it also provides some breathtaking racing. “Mix that with the fact that Sheffield have built a solid looking side this season and I think people are in for a treat on Sunday afternoons/evenings this season. “I really do like the look of the Tigers’ team and hats off to the management and promotion for that. 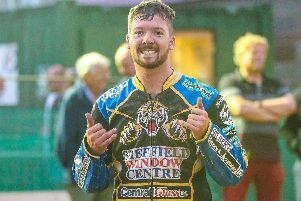 “I think the signing of former British Champion Danny King is particularly impressive; he may have had his injury problems last year but he continues to work extremely hard behind the scenes and I really do feel he’ll be a key rider for the Tigers. “The return of a revitalised Ty Proctor could be key and Kyle Howarth is determined to have a much better season in 2019 also. “Kasper Andersen and Broc Nicol both showed glimpses of what they can do during their spells with the club last season and Zaine Kennedy arrives with plenty of recommendations. “Drew Kemp is a youngster I worked with at Cradley last year - and Sheffield have got an absolute gem down at reserve let me tell you that now. Tickets for Tatum and Pearson Live remain on sale for £10 and are available from sportstalkevents.co.uk/bookingoffice.